Movie Ramble: Kumiko the Treasure Hunter. A young woman in a bright red coat walks along an empty beach with a map in hand. She enters what looks like a cave and unearths a videotape. 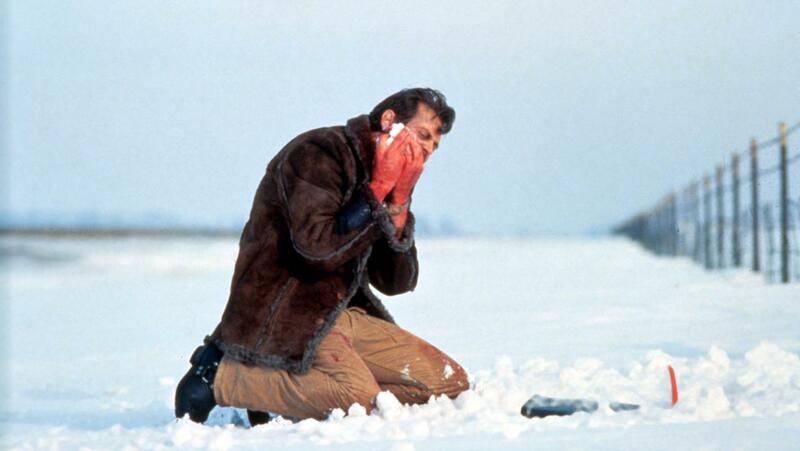 Returning to her flat joined by her pet rabbit Bunzo she pops the tape in her video player and at the beginning it tells her that the Coen Brothers 1996 film Fargo, is a true story and that the events depicted in this film took place in Minnesota in 1987. At the request of the survivors, the names have been changed. Out of respect for the dead, the rest has been told exactly as it occurred. "it can't be far know"
Written and directed by the Zellner Brothers, Nathan and David, their third feature film together, Kumiko the Treasure Hunter (2014) is based around an urban legend surrounding the death in November 2001 of a Tokyo office worker Takako Konishi who was reported in the media to have died of hypothermia close to Detroit Lakes Minnesota, where she was attempting to locate the suitcase fall of ransom money buried in the snow by Steve Buscemi’s character Carl Showalter. 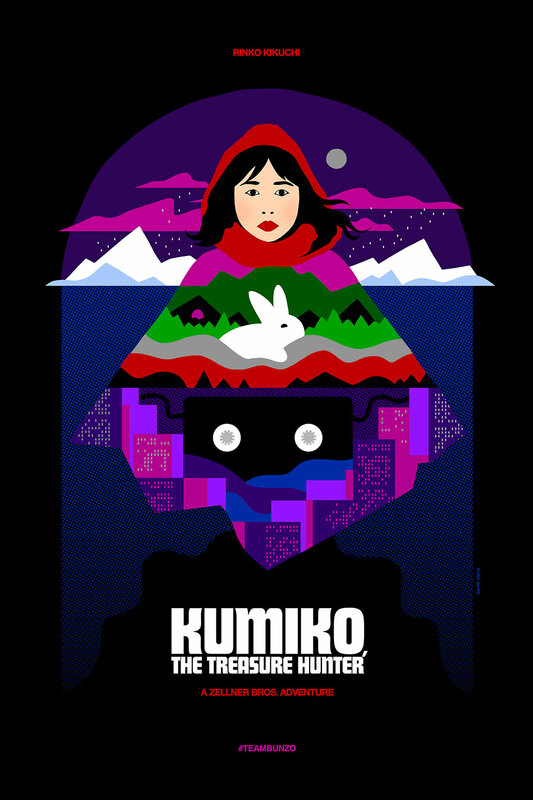 In Zellner’s movie the 29-year-old Kumiko leaves her job and travels to the ‘New World’ in search of the buried treasure. We follow her from her home in Tokyo to the snowy wastes of Minnesota meeting various quirky characters on the journey. "do you know marge Gunderson?" A fine atmospherical sound track by the quaintly named Octopus Project and some great cinematography by Sean Porter underline a great performance from Rinko Kikuchi, who you may remember from Babel (2006), Norwegian Wood (2010) and 47 Ronin (2013), as Kumiko who is portrayed as a lonely and unhappy young woman who hates her office bound job where her lazy boss takes advantage of her. Filmed entirely on location around Tokyo and Minneapolis Minnesota USA the rather oddly mystical and touching movie is a great joy to watch with a story that slowly evolves and a main character you can’t help but empathise with. A movie for more enlightened film lover. "she's not gonna find my treasure"